Maroon Chiba Satin Granite with Baroque Alabastro tile backsplash from Arizona Tile. 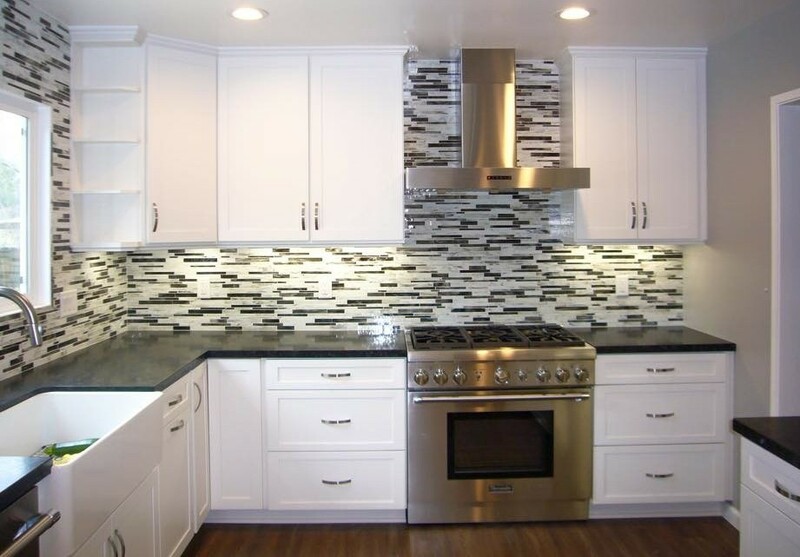 ​At Brookstone Tile & Granite we specialize in custom slab granite, marble and tile installation for kitchens and bathrooms in all phases of construction and remodel. 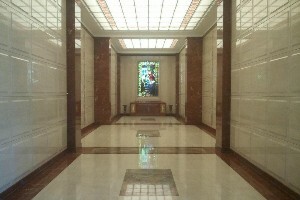 We also specialize in mausoleum construction and crypt facing for multiple phases of mortuary development. With over 15 years of experience our team of dedicated fabricators and installers will ensure that your vision becomes a reality. 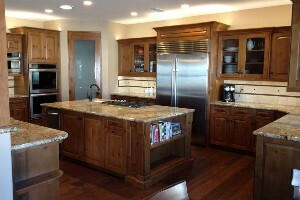 The kitchen is the central point of every home. From sharing a meal with your family, to entertaining guests during the holidays, your kitchen is sure to be a place where memories are made. With hundreds of options to choose from, let our design team help you add personal touches to your kitchen to make those memories a little sweeter. Wouldn't you love to come home after a long day at the office to your very own spa-like oasis? With just a few upgrades you can take your bathroom from functional to fabulous. Our team of industry leaders can help you lavish yourself in luxury without breaking the bank. Brookstone Tile & Granite is also equipped to handle commercial and industrial projects. We take pride in being able to handle projects on any scale. Give us a call today to discuss your tile & granite needs.